Spring Stitch Fix Unboxing and Review. I really liked this top. It’s feminine and pretty. I love the color. As you may already know, purple is my favorite color. The fabric was soft and flowy. It didn’t cling. I can’t stand clingy tops. The top had an inner shell liner, which I love if the fabric is thin. The only reason I didn’t buy it is that of the tie in the front. It wasn’t long enough to tie in a bow. I didn’t like it tied in a knot. I tried tying it in the back. That looked weird. I sent it back. Although I have this pinned on MY STYLE board on Pinterest, I wanted Spring pieces, not hot athleisure pieces. It got warm here in Tennessee quickly this year. The black hoodie is not needed. This is certainly my style when it’s cold. 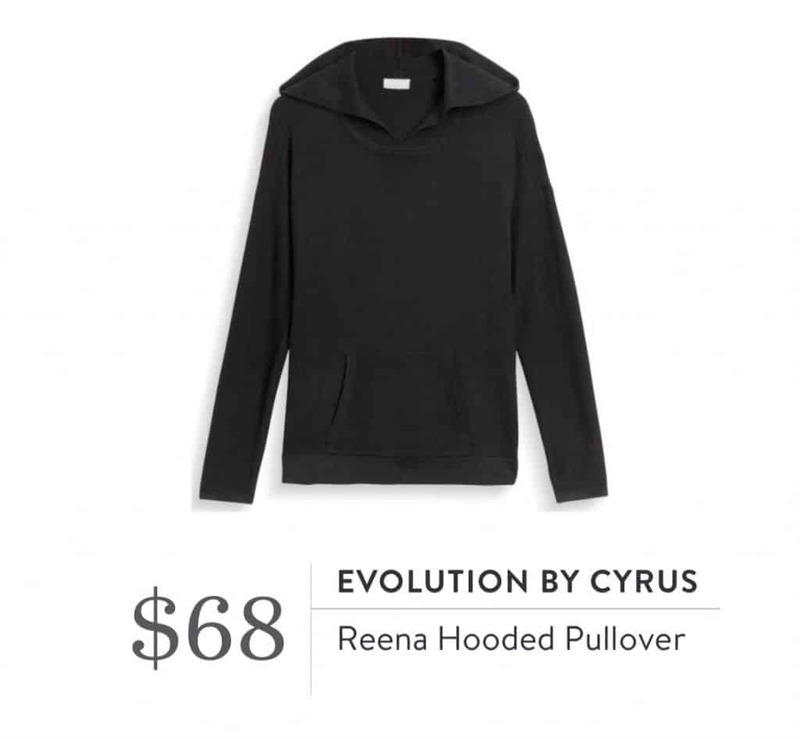 I really like this hoodie, but I refuse to pay $68 for it. I don’t think I have ever mentioned this in these types of posts, but I’m good at finding quality clothes for really good prices. Sure, I will pay a high price for pieces that I love and can’t find at a cheaper price. I won’t pay those high prices without doing a little research first. I will do a post discussing how I find quality clothes for less. Be on the lookout for that. 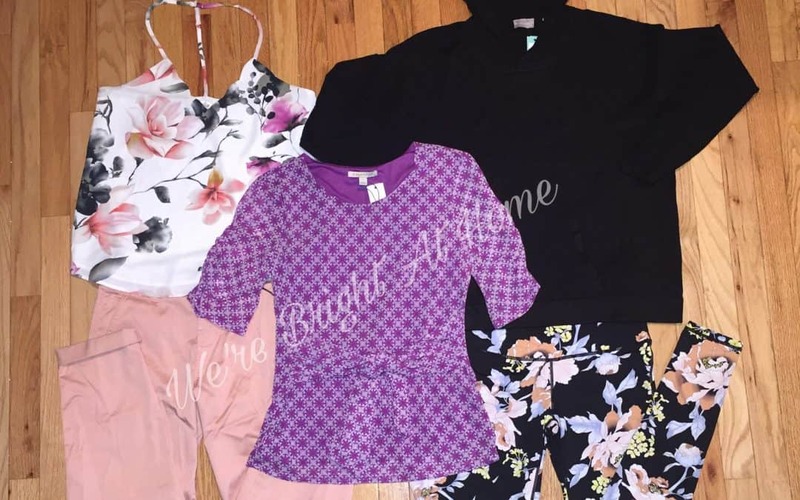 Let’s get back to my Stitch Fix review on this piece. Do I like it? Absolutely! Do I need it? Not at all. I want to add some Spring clothing to my wardrobe. That’s one of the biggest reasons I started receiving Stitch Fix subscription boxes over a year ago. I realized that I mainly wore t-shirts and yoga pants every single day. I was ready to overhaul my wardrobe, just not with the same stuff I already have on hand. I’m sure you have already guessed it. I sent this back. My review for this piece is pretty much the same as the one above. I have these leggings pinned to my Pinterest board. I like them. They aren’t for Spring, in my opinion. The price isn’t bad. They are of high quality. I just don’t need them. 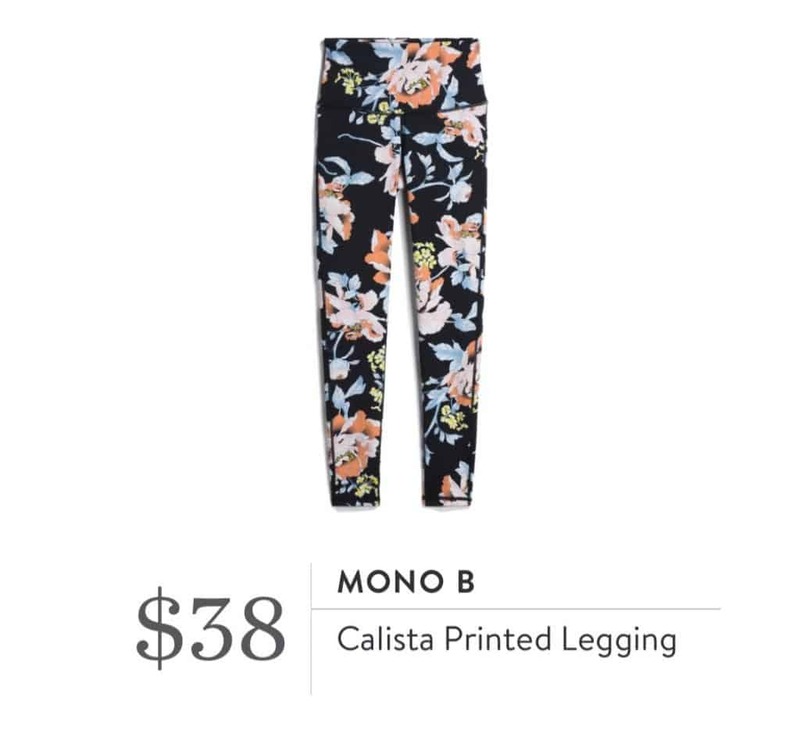 Stitch Fix has very nice and affordable leggings. I sent them back. This is what I had in mind! This is perfect for warm weather. I love the soft fabric, the colors, and the flowers. I like everything about this pretty top, except I don’t like the spaghetti straps that are supposed to hold the top up. The top hung below the bottom of my bra. No matter what style of bra you wear with this top, it’s going to hang out. I am a little old-fashioned when it comes to what I wear. I don’t like my underwear to hang out. 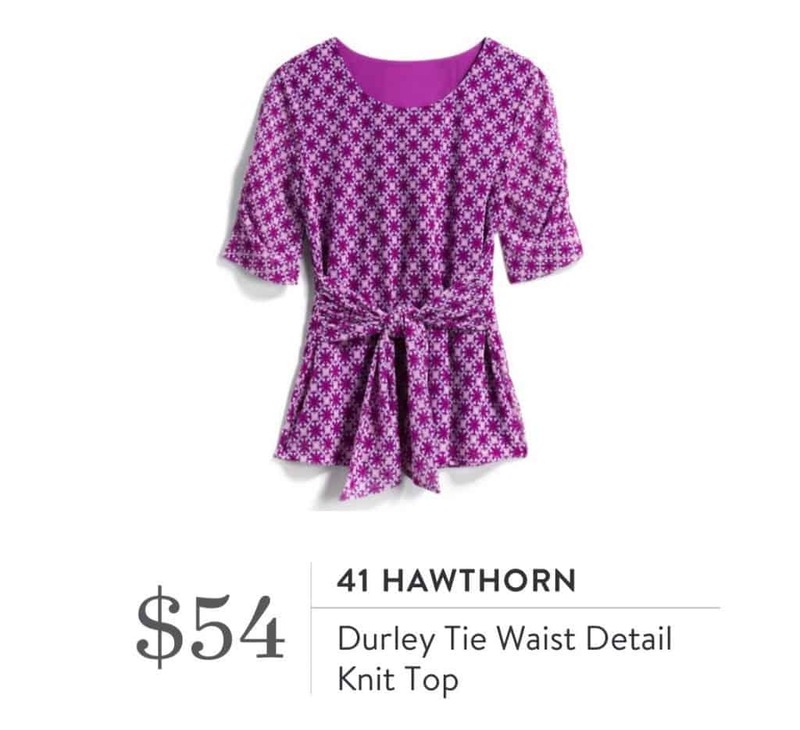 Stitch Fix carries a lot of these “nakey” tops. I like classic styles. There was a way to adjust the spaghetti string. My bra showed. This was returned. 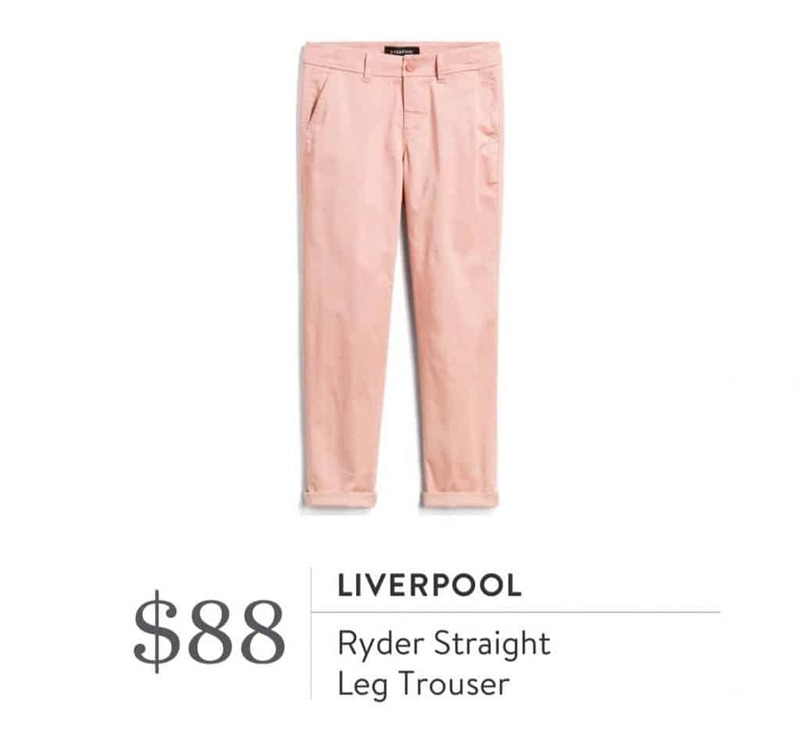 These trousers are perfect for Spring! 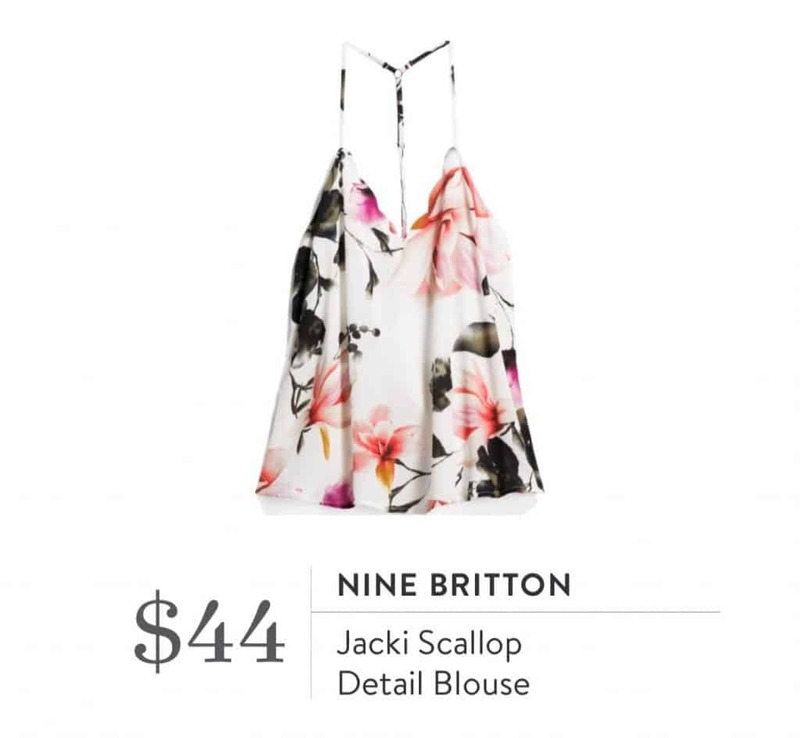 They matched the Jacki Scallop Detail Blouse above really well. I do like the trousers a lot. Unfortunately, They were too big. I could have requested a smaller size. There was no need, I didn’t like how the blouse fit. The trousers had a shiny sheen to them. I didn’t care for that either. These were returned. My Stitch Fix stylist did a good job finding things that I liked. I asked for a Spring outfit, I sent everything in this Fix back. I love getting clothes through subscription boxes. My stylist sends me pieces that I wouldn’t have even given a second thought if I saw it out somewhere. I think I have bought more of the things that I wouldn’t have chosen for myself. That’s why I always try everything in my boxes on. I have gotten things that I didn’t think I would like, then I tried them on, I loved them. Every single box isn’t always going to be a winner. I hope you enjoyed this post. Are you subscribed to a clothing box?